It all started in England. At that time I was still a student doing a 6 weeks internship at a local newspaper: The Portsmouth News. 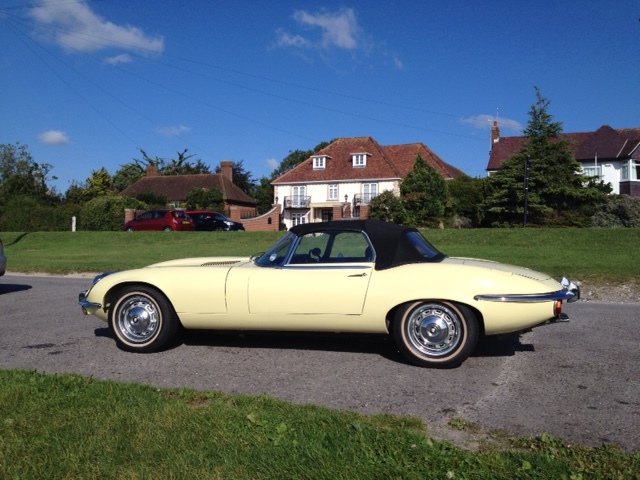 My lovely british family of adoption : Sir John and Lady Sandie happened to own a superb yellow E type Jaguar so I had the pleasure to enjoy beautiful rides. Sir John (as I like to call him) bought a red E-Type jaguar soon after qualifying as a doctor! 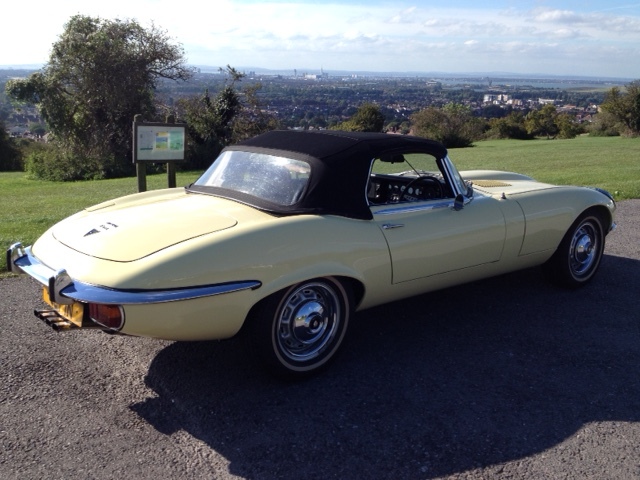 It was a left hand drive 3.8 series 1 e-type made in 1961 and was the 219th ever made. Today it would be worth a fortune! He kept it for 20 years and then eventually sold it but a couple of years later, he was missing riding a Jaguar so that’s when he bought the yellow one in which we went altogether to the Prescott Hill Climb. This is really a great car, with a vibrant colour and the noise it produces is so unique. It is totally orignal but has had some touch of paintwork. It is a series 111 E-Type Jaguar, drop head, with 5.3 litre V12 engine and has now convered only 68000 miles despite being made in 1972!!! I played also the “Portsmouth Model” next to the Jaguar: private joke with my British family as I ended up posing for an ad related to France in the Portsmouth Newspaper) so this nickname kinda stayed as somehow I often end up in the local Newspaper/Magazines or brochures abroad (so far Uk, Germany and Australia)! 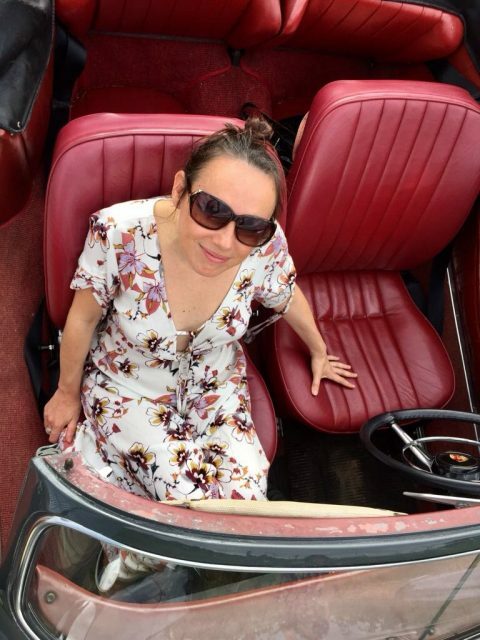 But back to my story, there are some beautiful pics of me sitting on the long bonnet of this Jaguar and you will have to take my word for it that there were some glamorous and glorious moments. 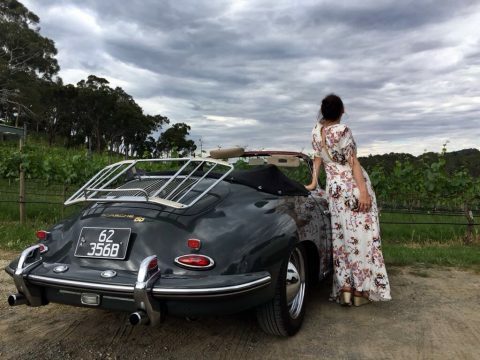 This E type Jaguar even traveled to France and even spent a night in my family’s garden as Sir John and Lady Sandie came to visit me and get to know my parents ! As I am writing this article I regret, I don’t have the pics in my laptop to share with you, but this was a little while ago… but still a wonderful first experience with collectible cars. I met John and Teresa (my californian friends) when I was living in Paris. They are both great people and we naturally became very good friends. So when they returned to California, I made the wish to pay a visit to them someday…which eventually happened and this is when I took the real measure of John’s true passion for vintage cars as he owned at that time: a 1972 Lamborghini Espada Serise II, a 1968 Maserati Ghibli S, a 1957 TR-3 and a 1952 MGTD Midget. 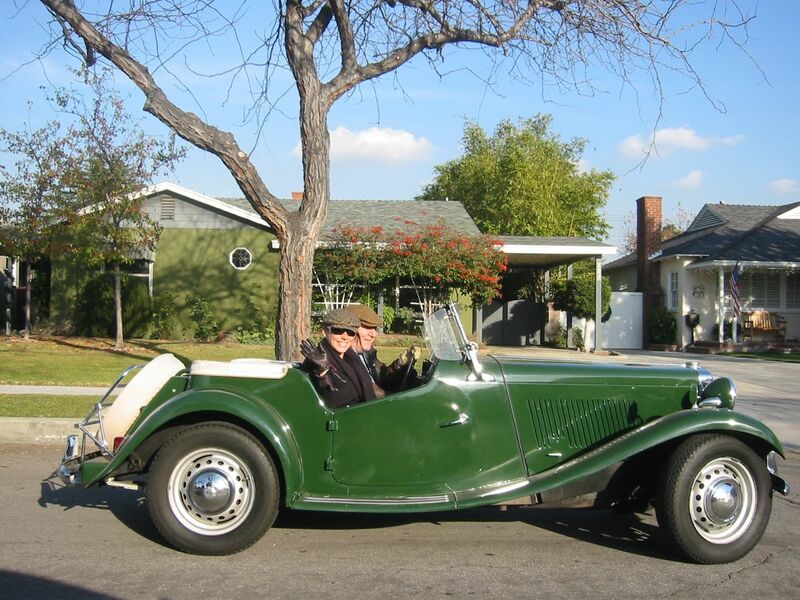 It was winter when I visited, just after Christmas, it was freezing but I was overjoyed to enjoy a beautiful ride in Los Angeles with this superb 1952 MGTD Midget, I payed the hard price since after this, I caught a really bad sore throat that Teresa tried to cure with natural medicines but it was soooo worth it! John just likes cars, none of the cars he owns were collectible at the time he bought them, they were just old cars but he had a crush on them and they became popular as the years passed. To quote John ” You should not buy anything just because other people like it. You should buy things that you like. Popularity is fleeting but your taste will probably be more consistent and last”. I absolutely agree! I met Sybilla (Germany) this year at work and we became instantly friends. She is the most “Frenchic” German girl you could think of! She is married to Warren (Australia) who is adorable and together, they are a fantastic couple! 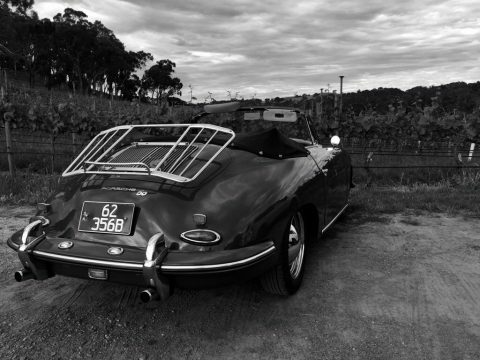 Warren has a passion: he is an enthusiastic collectable cars lover and owns a beautiful vintage Porsche called (H)ana (Warren likes to make fun on my French accent as I can’t pronounce the “H”). 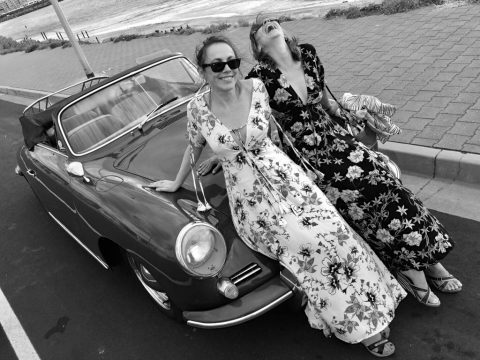 One weekend we went altogether for a ride with “Hana” in the Adelaide Hills and then to the beach sides. It was a wonderful day. This car is absolutely beautiful, it is impossible not to fall for it at first sight: the colours, the shapes, the noise… And to quote this song “Isn’t she lovelyyyy”… I mean how can you not possibly love a ride in this beautiful car when the weather is so beautiful (hello summer), feeling the wind in your hair, hearing the birds singing. It is impossible not to feel so lucky and grateful for experiencing such a wonderful moment with such lovely company.